Build valuable and lasting customer connections with a Digital Wrap. 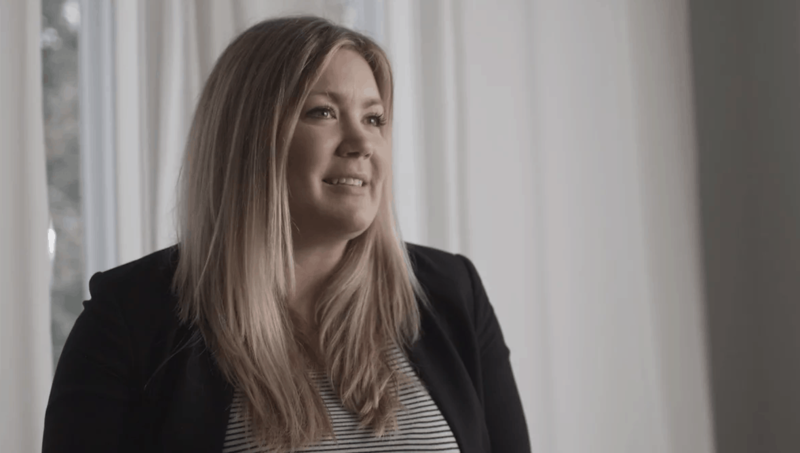 See how these companies use ServiceTrade to enhance their digital wrap to grow their businesses and maintain great, lasting relationships with their customers. 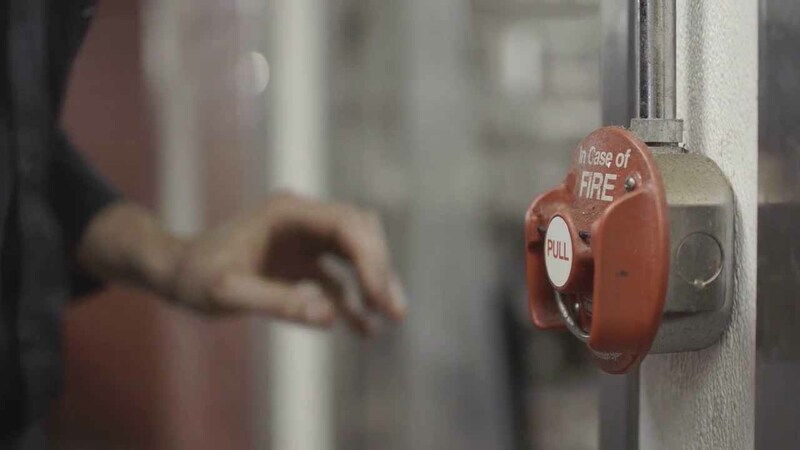 Fire protection company that grew 20% by sending online quotes and increasing their quote volume by 50% with ServiceTrade. Fire protection and life safety services provider that delivers on-time maintenance and system repairs to keep customers and property safe. 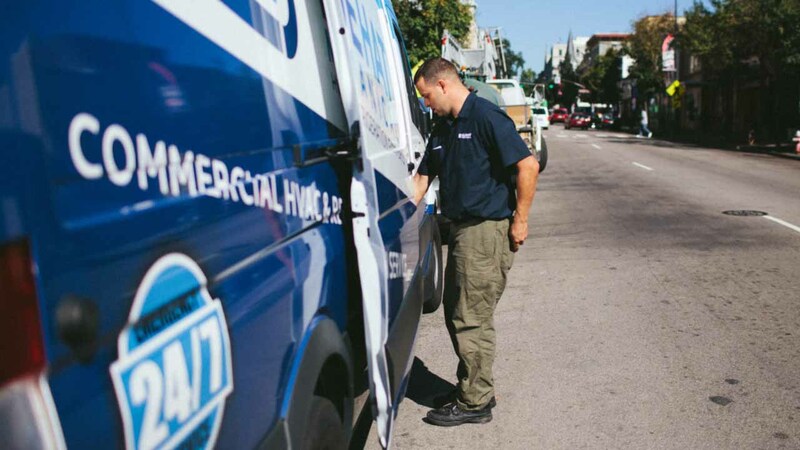 HVAC and refrigeration service contractor that delivers remarkable service for commercial and residential customers. 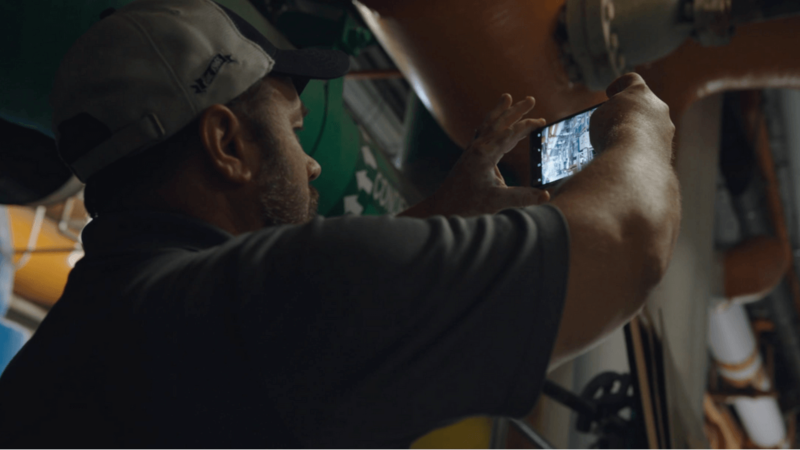 Mechanical service contractor gives customers a clear, rich record of their work that builds long-lasting customer partnerships. Start your free account today. It’s easy. Smart scheduling, digital records, customer engagement. See what ServiceTrade can do for you. 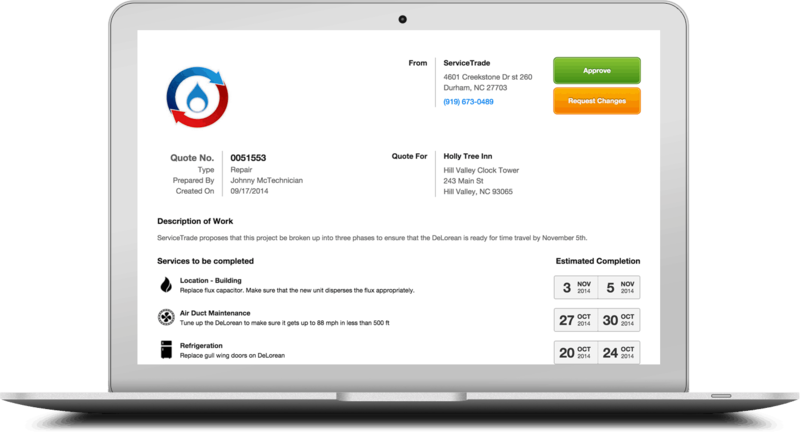 Engage customers online by providing real-time status, photos and audio memos, job history, and online reviews. Complete more work by going mobile, digitizing paperwork, and scheduling more efficiently. 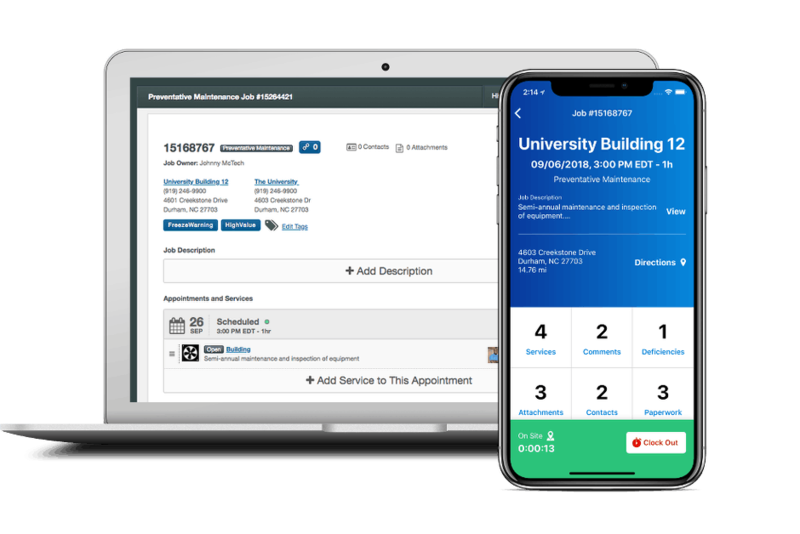 Remove double data entry and phone calls with map-based scheduling, real-time job reporting, and accounting integration. No servers to manage and no IT headaches with our modern, secure web and mobile apps. Sign up today for free, unlimited, electronic quoting. Connect with your customers through our mobile and web applications. Provide customers with easy and secure access to information they need. Send electronic quotes with one-click approval and rich media for 3x acceptance rates. 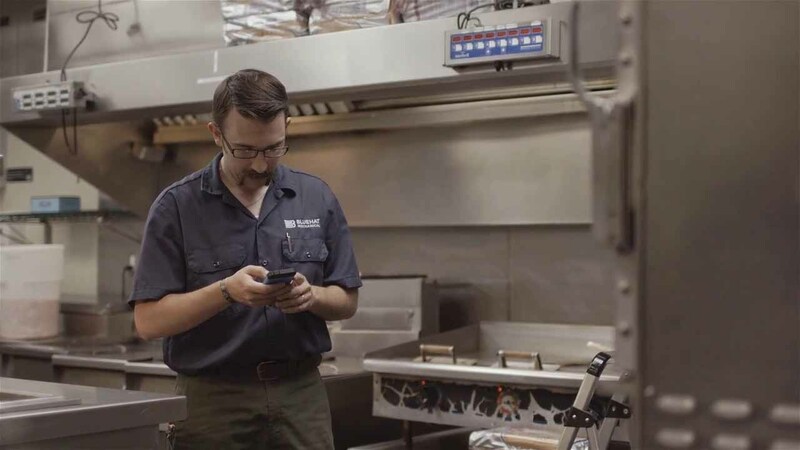 Keep customers in the loop with en route and other job notifications. Turn service delivery into free marketing to attract and build trust with prospects. Convert new service opportunities into revenue with our free eQuoting tool. More work. Less hassle. Real-time updates. 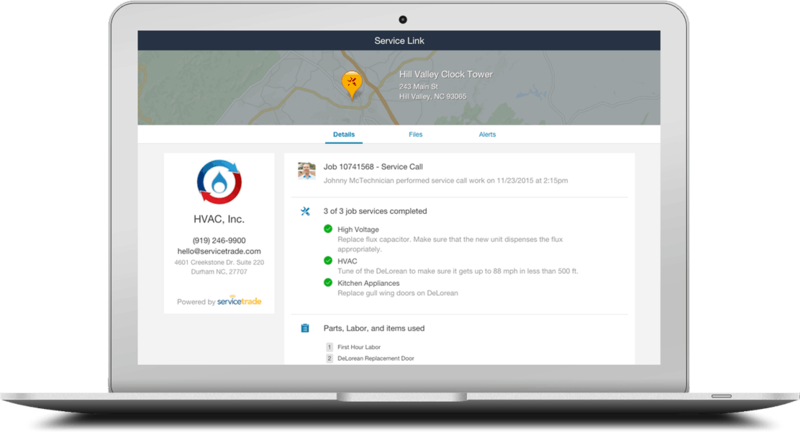 Optimize your daily service schedule with real-time job info and maps. Digital paperwork along with photos and audio memos help you eliminate expensive, slow paper processes. GPS job clock intelligently tracks technician hours on the job, on the road, and in the shop. Track asset and equipment details, history, and warranties. Prevent problems before they occur. Give it a try. Open your free account. ServiceTrade automates the office so you can focus on great customer service. Invoice faster and cut out phone calls to the field with real-time status updates. Go paperless with mobile apps and digital paperwork. Respond immediately with instant access to customer information. Minimize data entry through integration with your accounting system. Send unlimited free online quotes that customers will love.